Australia’s Renewable Energy sector is hugely dynamic and moving at such a speed with several areas of the market set for huge growth trends. Whilst the utility scale Solar, Wind and Battery Energy Storage projects make up most of the headlines there are several emerging markets that will soon sit alongside the large projects boom. One of those pockets is the Off-Grid projects for the Mining market which has unbelievable growth potential in Australia. Despite a few impressive reference projects, the Off-Grid space is very much at the beginning of its journey in this country and will provide huge employment opportunities across a range of stakeholders. An early mover in this space was Sandfire Resources who built the DeGrussa Solar Project in 2014 which, at the time, was the largest integrated off-grid solar and battery storage facility in the world. The project consisted of 10.6MW (AC) Solar, 6MW of Lithium-ion Battery Storage integrated with the existing 19MW Diesel-fired power station. ARENA provided funding for half of the project’s value and hoped the project would improve future stakeholder’s technical knowledge and alleviate perceived risk of integrating these technologies as well as highlighting the economical and production benefits for a Mine site. ARENA is investing heavily in Off-Grid research and commercialization and focus their investment on “supporting activities that involve the integration of Renewable Energy with existing supply in remote off-grid areas”. Off-grid can typically refer to generation sites that are no connected to one of Australia’s large-scale electricity grids. End use applications include Industrial or Mining sites with critical power loads and remote communities that rely on Independent Power Producers for electricity supply. Remote industries in Australia currently rely on 1.2GW of power from diesel fuel exposed to price volatility and supply interruptions. With this in mind the motivation is still there to find a better solution involving hybrid integration of renewable generation to off-grid applications. Mining company’s main driver for their production facility still is centered around reliability of power supply despite their largest cost burden being electricity costs of running their sites. The Mining boards remain very risk adverse about the implications of integrating solar power with off grid generation and the effect on reliability. The other major conflicting dynamic is that Mining companies typically want to see a 3-4 year pay back on any major capital investment and are very short-term focused on profit and share value. Without large subsidies or Government funding these projects are still not quite stacking up financially however are narrowing the economic gap rapidly. The 2 main tipping points for this market are – reducing technology costs and real-life operations and data feedback from hybrid plants. With the number of projects globally increasing there will be a large shared knowledge pool to draw from, technical expertise and confidence amongst financiers and Mining companies will increase which collectively will lower risk profiles and appetite for investment. Battery Energy Storage Systems (BESS) and other storage technologies like Vanadium Batteries, Pumped Hydro and Hydrogen all are in the battle field and have dramatically decreasing technology costs. Storage technologies are critical for hybrid off-grid applications to eliminate curtailment that comes with higher penetration of Solar PV output. As is the case across the entire Renewable Energy sector one guaranteed enabler for the Off-grid market is policy framework. 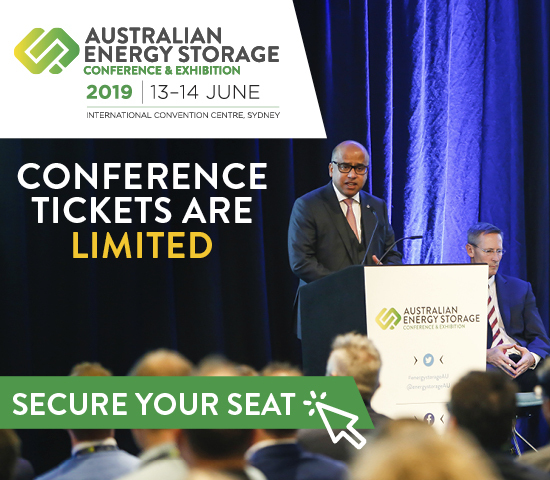 AEMO are re-writing policies to adapt to this technology change and ideally it will be favourable for revenue opportunities for Storage technologies which will further drive the asset owners, financiers and technology players to provide financing for these projects. The growth of the Off-grid market will bring a broad range of careers across design, development and construction stages. Specifically, there will be significant opportunities for technical personnel and employees in the Financial sector who have an understanding of the key drivers of mining operations and experience with the integration process of connecting renewable energy with existing off-grid generation. Most likely the largest creation of new positions will be in Asset Management – both operations and maintenance roles as well as the energy trading functions. Energy trading will most likely see a huge transformation with more AI based platformers to trade, dramatically different landscape of where to derive revenue streams and unprecedented financial and revenue models. Once the sector becomes more mainstream with a range of operating sites the financiers will become more comfortable and see a lot of position generation within the funds, debt and equity firms with Renewable Energy portfolios. As with all emerging sectors, there needs to be pioneers and early movers willing to take some risks and invest their own funds into these projects to pave the way for future projects and industry wide confidence in the economic benefits. The global trend is seeing the technology companies (OEMs) taking on a majority finance interest in the projects as they understand the revenue potential and see Off-grid projects as a solid investment.